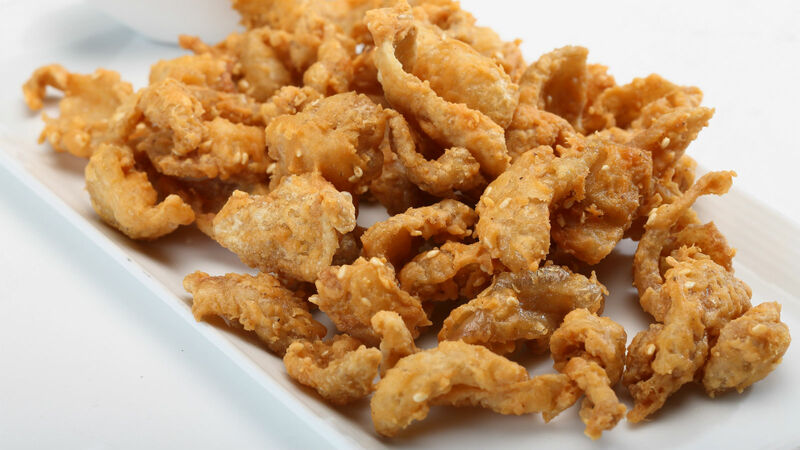 The fried chicken skin crackling is making a comeback. While some Ashkenazi foods–like bagels and schmear, pickled vegetables, and babka–have become mainstream, others are waiting just below the surface, ripe for rediscovery. Gribenes, the fried chicken skin crackling that gets left in the pan after making schmaltz, is definitely one of those foods. Gourmets at Saveur and Melissa Clark at the New York Times ascertain that it’s already made a comeback, particularly on the east and west coasts. I first heard about it a few years ago when my housemate was making schmaltz, which she said was the secret to her grandmother’s matzah balls. Gribenes, the byproduct of schmaltz, was so good that we ate it straight from the skillet. How, exactly, is it done? As the New York Times instructs, once you’ve drained out the delicious melted chicken fat–schmaltz–you’re left with scraps of chicken skin and onions. This is when the magic happens: Continue to cook them over the stovetop, and you’ll get a crunchy, crispy treat known as gribenes. If you love the texture combination of crunchy and smooth, like flaked sea salt on buttered radishes, or potato chips baked atop a creamy potato gratin, you’ll love the tactile delight of smooth chopped liver and hard-boiled eggs studded with crispy gribenes. 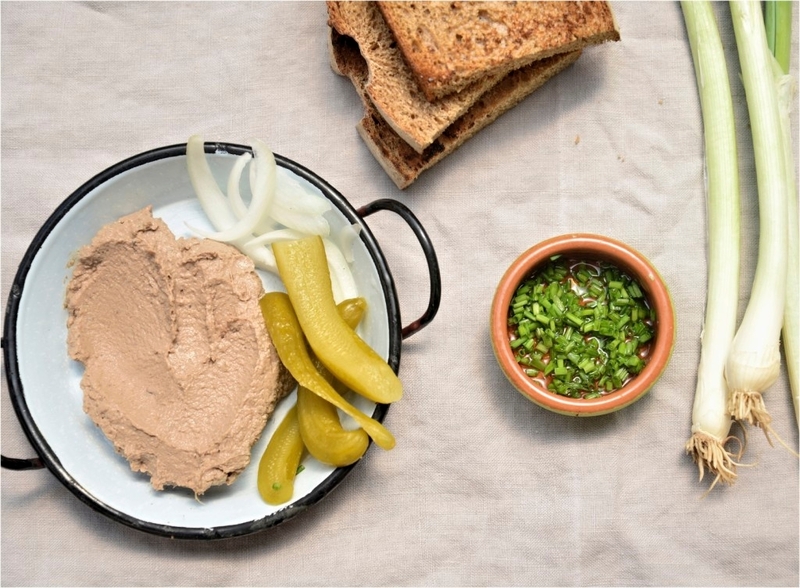 Chopped liver with gribenes, in fact, has been a classic Passover appetizer for as long as anyone can remember. It’s easy to see why: It goes well with carrot sticks and matzah crackers, and it’s packed with protein to tide you over until the end of the seder. According to the Jewish food writer Tori Avey, the dish goes all the way back to Medieval Germany, where Jews raised geese as their primary protein of choice. They made schmaltz, German for “rendered animal fat,” with goose liver. After rendering the fat, they knew just what to do with the leftover scraps: eat it right away (it’s hard to resist! ), or add to the chopped liver. You can incorporate the gribenes into the chopped liver mixture, or simply enjoy it as a garnish on top. But don’t stop there! Add gribenes to anything that could use a crunchy, salty touch. Consider it “Jewish bacon,” and therefore the perfect topping for shakshuka, avocado toast, ramen, or even waffles and syrup. 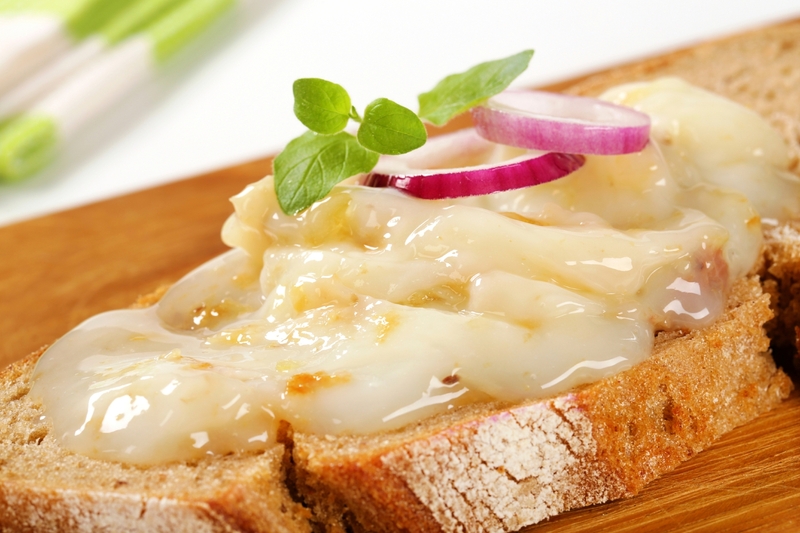 Gribenes elevates anything it touches to a new salty and savory level. Pronounced: AHSH-ken-AH-zee, Origin: Hebrew, Jews of Central and Eastern European origin. Bright greens, toasted pistachios, black lentils and sugar snap peas give this salad a burst of texture in every bite.